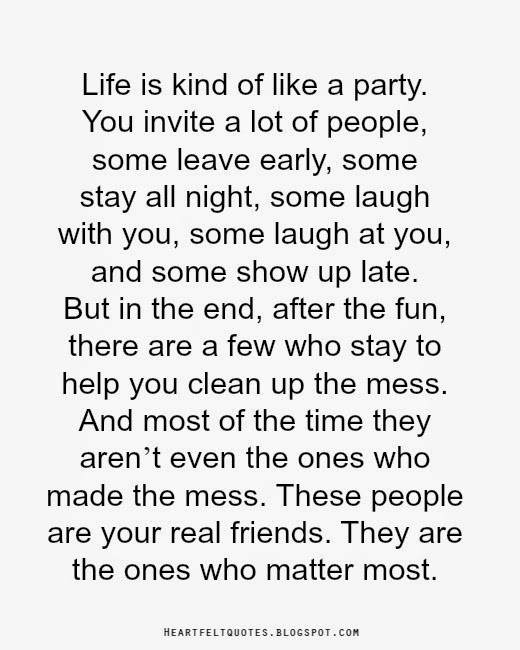 Best friends in adulthood…. Reality or Fantasy? As we age, we start to change and mature. We get busier and while we still hold on to the childhood fantasy of that one and only best friend, many of us struggle to feel like it is actually attainable, and if it is attainable, it seems even more unlikely that it is maintainable. Often we crave that person to whom we disclose everything, our deepest (and often darkest) thoughts, feelings, fears, fantasies and opinions. The same person who is always there for us, who makes us laugh, shows us a good time and is always there in a time of need. Yet in reality we may be faced with many surface level friends who prefer to keep the topics to weather or the garden, avoid anything particularly personal, and are too busy to spend much time with us at all. The title of this webpage is Best Friends ForNever for a reason. Not to say I am not a believer that such close bonds between women can happen. They can and they do. However it usually isn’t the same best friend you had in primary (elementary) school that is with you in retirement…. And if it is there has usually been a long pause in your friendship somewhere along the line. It isn’t always the same person forever, and it isn’t even always ONLY one person?! Also, I have discussed unequal friendships here before, the kind where someone may consider you a best friend of theirs, or vice versa when the sentiment isn’t really reciprocated. So, how does one establish a best friendship? And can you ever be sure it is reciprocal? Is it important? As Shasta Nelson, Author of Frientimacy, often states in her own writing, the first mistake many of us make is seeking for someone to be a best friend instead of allowing someone to become a best friend. Does that make sense? Having a best friend who meets all your needs is amazing. I wont deny it. However, it also puts A LOT of pressure on that one person to meet all of your needs, and as amazing as she is, that is unrealistic. So regardless of if you have found someone you consider a best friend or not, please stay open to seeking other friendships, and allow your friends the space and freedom to do the same. If you have not found her yet, please don’t go searching for her. Search for people you have things in common with. Friends you enjoy. Friends who interest you or stimulate you intellectually or emotionally. Spend time with these people, with no pressure on them to become closer, or for them to be anything more than they are. Be aware of your needs, and notice how they all meet different ones. Be grateful for that. Personally I have friends who enjoy the same leisure activities as me, and friends who share the same passions or lifestyles. I have “mummy” friends to chat to about parenting, and school friends to reminisce about old times. I have online friends who I have never met. I have friends with whom I do more talking and friends with whom I do more listening. I have friends who stay within certain topics of conversation and friends who discuss everything and anything. I have friends who share far too much and friends who share almost nothing of themselves. 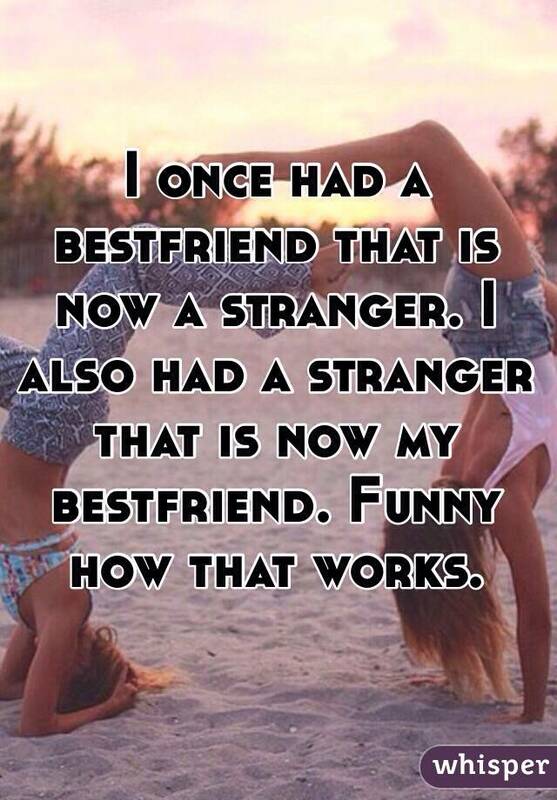 I used to find many of these friendships unsatisfying. I feel this is in large part because I had an unacknowledged expectation that every friend should be as close as a best one, and that I was wasting time with people if they could not or would not at least try and meet me at that level. With much therapy and personal reflection over time, I came to realise something important. It was not my friends who were letting me down, but my expectation of the friendships, that caused my dissatisfaction more than the people. It wasn’t easy, but I learned to enjoy people for what they are. This includes seeing them for who they are. Acknowledging their boundaries. Respecting them. Not pushing them to give more, share more, or be closer than feels natural for either of us. Best friendships are not forced, and that is part of their beauty. I see that now. Some of the people I spend the most time with are not able to meet my emotional needs. I have tried talking to them and have not been met with the empathy, caring or even at times listening skills that I require to feel close to someone on that level. However, for many of them, I do meet their needs, and that is where an imbalance can sometimes occur. However, I no longer feel uncomfortable when a friend says to me that I am her best friend even if I don’t feel the same way. She is expressing her experience of the friendship, in relation to the other relationships in her life and I am happy to be someone that people feel comfortable with… even if I don’t feel quite as comfortable with them in return. Equally I no longer internalize it if someone does not find me to be their best friend. I no longer feel the need to be everybody’s bestie, and can acknowledge that perhaps the qualities I value and the qualities I offer do not actually meet the needs of some people, however much I might want them to. I am not prepared to say that I don’t have a best friend. Perhaps I do. Infact perhaps I have a few. And they are the friends with whom I feel able to express myself fully. To be vulnerable without fear. These are the people who best meet my emotional needs as a friend. The people I turn to. I’d like to hope that these women feel the same way as I do, but it doesn’t really matter. If they have other people who meet their needs better than I do, then that’s fantastic. Because it means everybody’s needs are being met. And let’s not forget we have other needs too! I can talk to these few friends about everything and anything, but I usually don’t. We often discuss more private matters and feelings and such, not spending much time on the everyday matters. That doesn’t mean I don’t want or need to discuss these things too, and that is where my other friends come in. I love my fun friends. The ones who always make me laugh. We have adventures, and we fill our social cups together. I need that. I love my leisure ladies, who enjoy long lunches, massages, movies and with whom the time melts away. I need that. I love my fascinating friends, who are full of stories, adventures, drama’s and unique perspectives on this world that interest me and stimulate my thinking. I need that. I love my mummy friends who talk and listen endlessly about parenting, poop, predicaments and sleep, school and social issues. I need that. I love my friends who I have known forever, with whom, much of the time conversation is not even necessary, and who know me in a way that only long term friends can. I love you all. I need you all. You all meet very important needs and I express a different side of myself with all of you. Do I feel closer to some of these friends than others? Yes. I feel closer to the ones I feel really listen to me. Hear me. Understand me. Validate me. But I love you all and I know you all love me, in your own ways. I am sure some of you feel less close to me than I do to you also, and that is ok too. Just because some are closer than others, doesn’t necessarily make them more valuable. (As the term best would imply) Perhaps instead of searching for that one best friend, we should hope for a few close friends? The term best friend is so exclusionary and takes away from our other friendships in essence. My closest friends are not people I searched for. They happened authentically over time. First they were acquaintances, then casual friends and as we spent more time together each of us SLOWLY revealed more personal things, and tested the waters and the reactions we got. If we felt comfortable, heard, validated, understood and not judged, then we felt safer to disclose a little more. At least one of these friends discloses all of herself to me in return and it is a beautiful thing. One of them shares less of herself but I still value and appreciate how much of myself she lets me share and express. The rest of them I appreciate how much they do share of themselves, and failing that I value what we both share and enjoy together on a less personal level. If you are feeling a bit lonely, even if you are surrounded by friends, it is likely that you feel nobody hears you, validates you and understands you the way you need. If you haven’t tried being a bit more vulnerable with a few people, please do. They may surprise you. (Even if you have nothing in common and you feel it’s an unlikely match!) Meanwhile, I always find journaling a good strategy for self expression (or a blog! Lol) and I recommend a mental health professional too. After all you pay them for exactly that!